As we posted before, Sony a7S III‘s real competitors are coming. 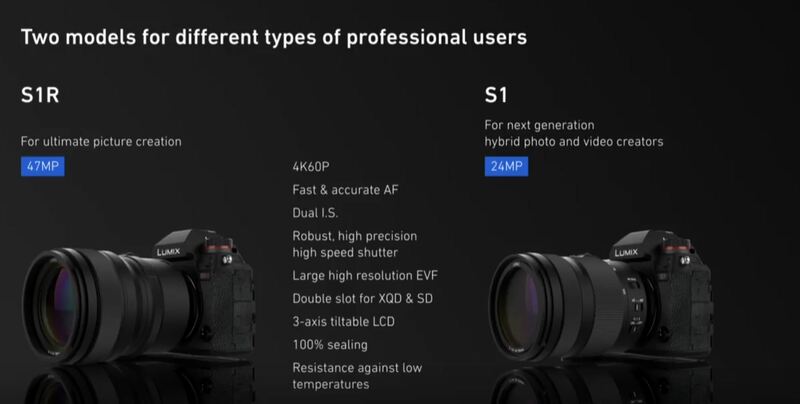 Panasonic has just announced two new full frame mirrorless cameras today: S1 (24MP, 4K60p, Dual IS, Dual Card Slots), S1R (47MP, 4K60p, Dual IS, Dual Card Slots). Next Next post: Sigma Art 28mm f/1.4, 40mm f/1.4, 56mm f/1.4 DC DN Lenses Announced !